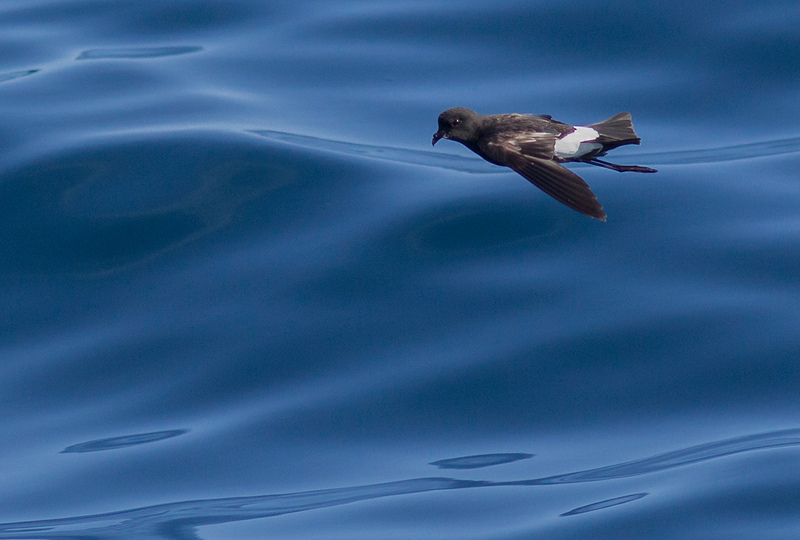 On our pelagic trip with Mar Ilimitado out of Sagres, Algarve, Portugal, we encountered a single Wilson's Petrel. I think I managed this one photo which shows its long dangling legs (which project beyond the tail) and a hint of the pale panel in the upper wing. It was easier in real life, as it had a subtly differnt flight style, was slightly larger and those legs were really noticeably long!